swissmiss | I *love* PlayFoam! but try to have ella (and you!) clean your hands before and after. this (and floam, which is similar) has been known to breed e. coli and staph germs. And just wait until Ella decides to grab a big, wet hand full and rub it into the carpet. It’s very tough stuff to get out of carpet once it dries. And I do question if you can take it on a plane just like that. wow I remember this stuff from years ago. It’s amazing stuff. But it definitely frightens me just a tad. Ok I want some. This product is a rip off of the original. please dont promote it. 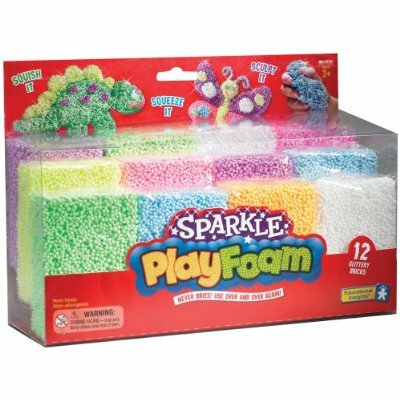 The original product is called FLOAM.